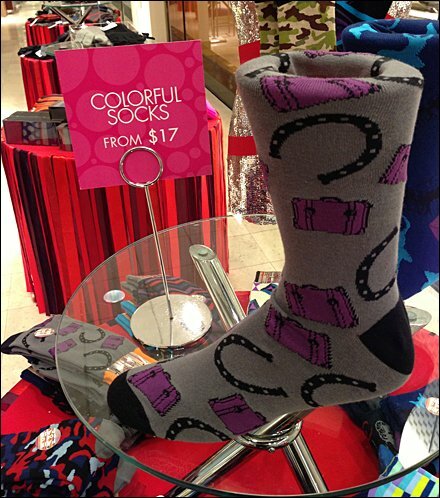 If the big foot alone does not catch your eye, then maybe the colorful sock design will. Do you think the price will seal the deal? This display sock is so large it either really is sized for Bigfoot, or custom cut for the foot form. CLICK the thumbnail for a better look at the sign stand. 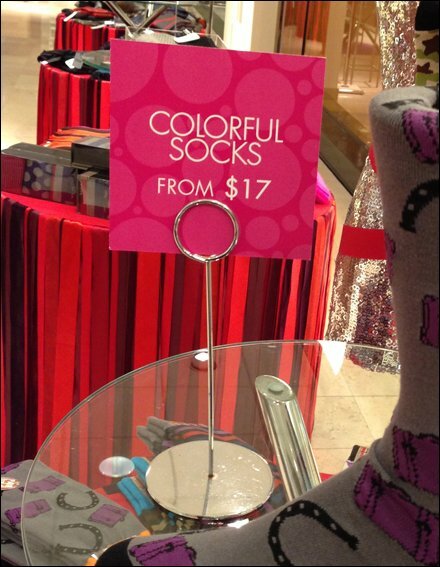 THough I have big feet I did not bite on this offer. The style was more of my son’s than my own.